If you have been thinking that beauty advent calendars are overpriced, unaffordable and not worth the money, stop. Here is one for £10.99. And that is inclusive of free worldwide shipping. No, it is not April 1. Nor does it contain empty wrappers. It contains 12 different beauty products. No, not cotton pads or wipes either. Read on. Scroll down for the lowdown on the Mad Beauty 12 Days of Christmas Advent Calendar for Holiday 2016. That is quite generous for £10.99, innit? This being a 12-day advent calendar, you can either open each door from December 12 onwards, or open each door on every other day from December 1. And the packaging is very cute and Christmassy, with stockings, baubles, gingerbread men, candy canes, reindeer, santa, snowflakes, penguins and Christmas trees. 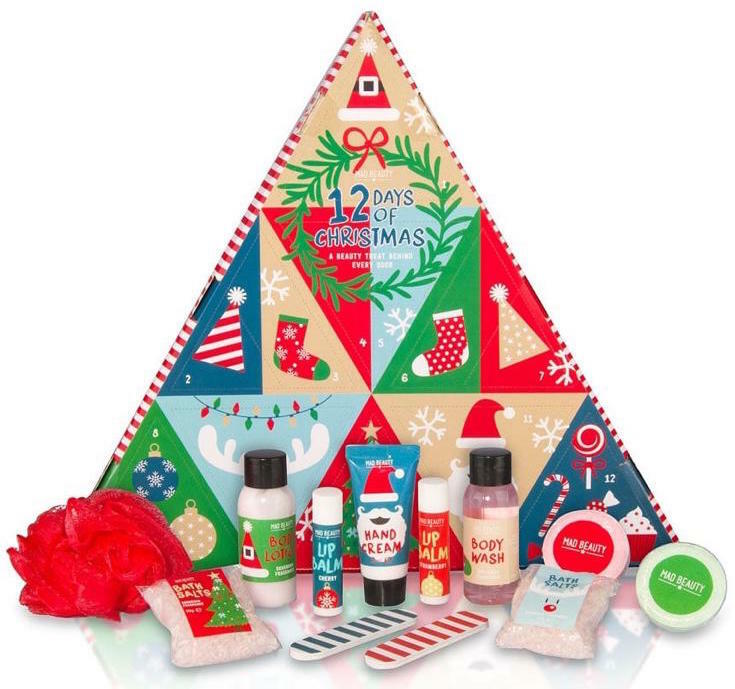 The Mad Beauty 12 Days of Christmas Advent Calendar for Holiday 2016 ships worldwide from here, and is priced at £10.99. Being priced so incredibly competitively, this should sell out soon. If Mad Beauty does not float your boat, you can always order the LookFantastic Beauty Secret Advent Calendar for 2016, here - it costs £70 including shipping, and contains a mix of 25 brands. 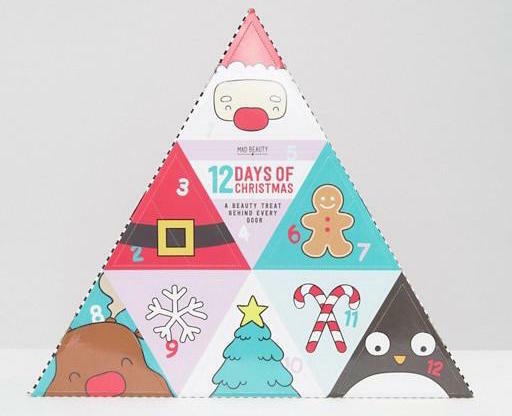 Or, you can also treat yourself to the ASOS Beauty Advent Calendar here, which is £50 including worldwide shipping, and contains a mix of 24 beauty brands - including a Sleek liquid lipstick. If you fancy some bath and body pampering for 2017, why not splurge on the Molton Brown Advent Calendar here? Do any of the Advent Calendars you've seen on this blog float your boat? Tell me in the Disqus comments widget below.